Last September, we met a customer who purchased a heavy-duty steel mailbox. She was also a Washington Redskins fan, and she wanted to customize the mailbox with the team's logo and colors. Never ones to shy away from a custom project, we agreed to take a look at it and see what we could do. 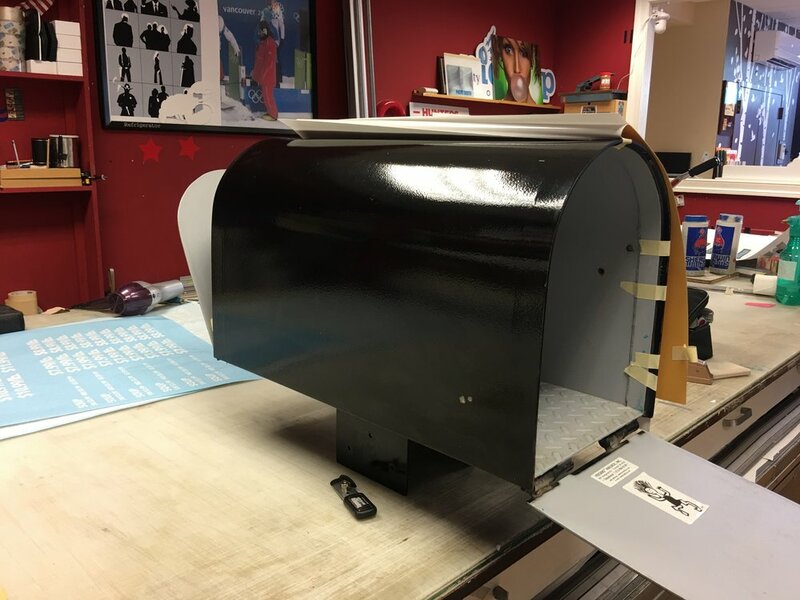 After taking detailed measurements, we discovered that making a custom "skin" for the mailbox would be relatively easy. We printed one piece of vinyl that easily covered the top and sides, and another piece for the front flap. We used a 3mil adhesive vinyl covered with a 3mil rough laminated, ensuring no weather or UV damage. 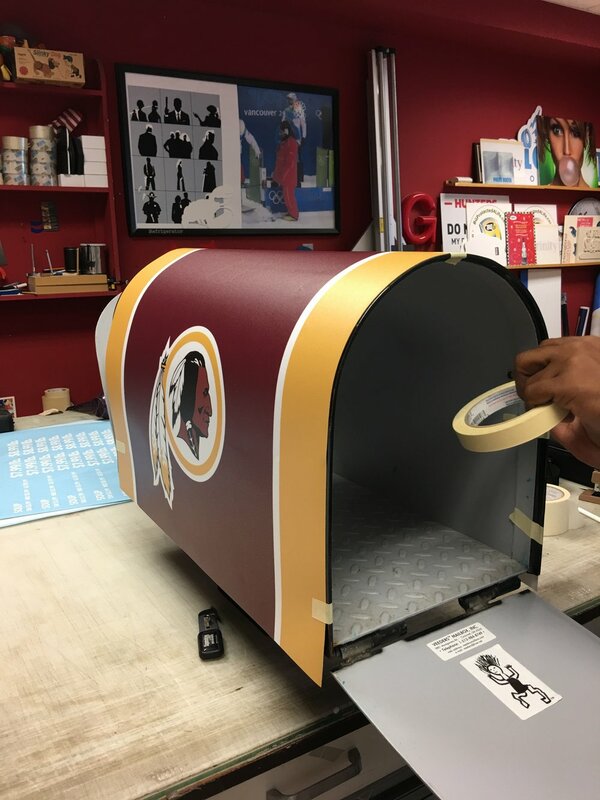 The final product was a custom Redskins mailbox, which our customer loved very much!